All set and excited for my Mumbai trip and it did start off very well. Landed in very late in the night and got to see lit and decorated buildings everywhere. Simply gorgeous to look at. 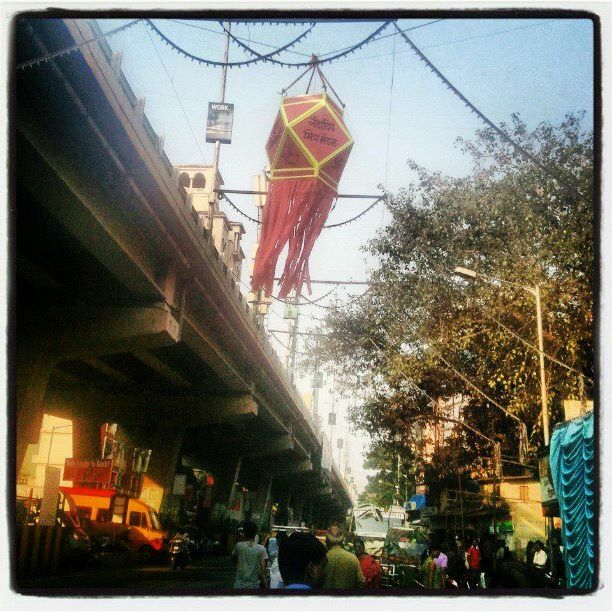 Infact, our fascination for these, took us hunting for them post diwali in ‘gallis’ of Mumbai. 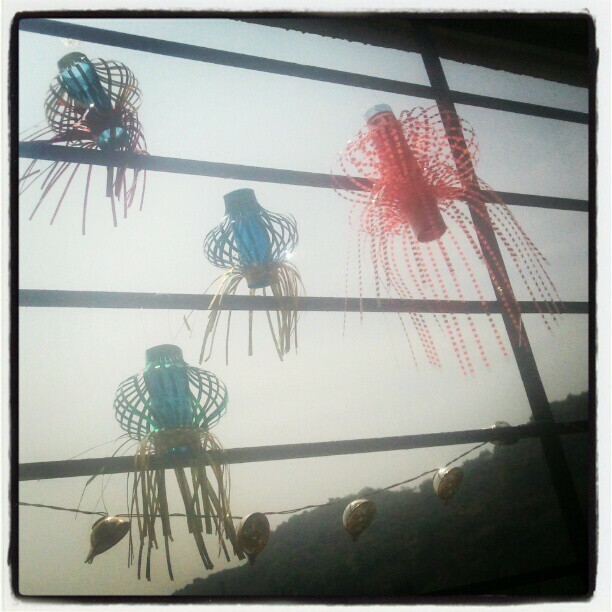 And we were lucky enough to find some exotic ones – well to be hung next Diwali… or maybe Christmas…….!!! While browsing through, landed up at Foodhall in Palladium Mall in lower Parel – oh my god I was a kid in a candy shop – Alone – and with my credit card- AIYYAA!!!!! And shop I did. The place resembled Le Marche, Modern Bazar on many levels but also had this amazing TEA counter where the tea-holic in me went bananas…. literally. 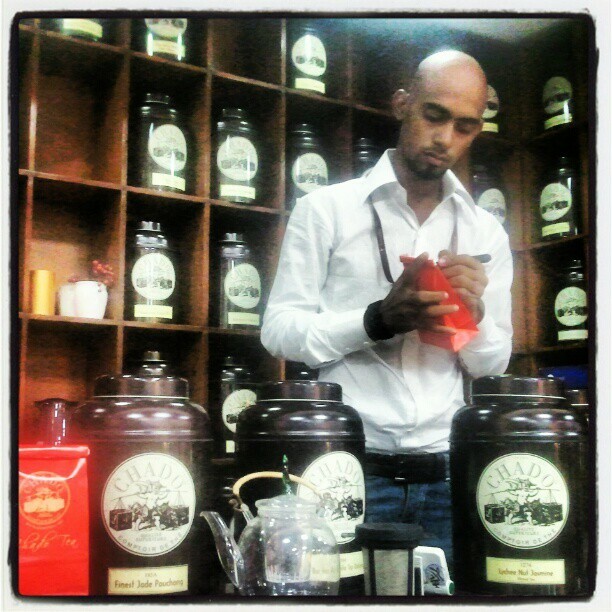 Sampled, smelled, drank freshly brewed tea, before making up my mind. The counter had floor to wall shelving – all filled with huge cannisters which had tea leaves of varied regions and hues. It was love at first instant for me. Loved the kettles, strainers, cups, etc. And yes I bought heaps!! Dont miss the quaint bags these were filled in- labelled too!! Saw this street ‘thela’ selling some exotic stuff. 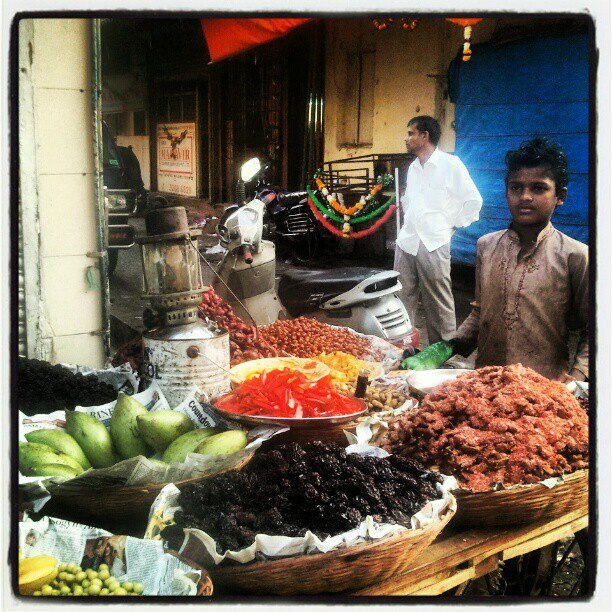 Our curiosity earned us a free sample from Riyaz – the vendor and we ended us buying a bit to eat too. These were strips of unripe mango, dyed red and then sprinkled with some masala (- my throat hasnt been the same since. )Then he explained the various wares on his cart too – unripe mangoes, dates, ber, imli, bael, kamrak – all sweet and sour items with color and spice added to them . A movie outing at an old theatre – EROS, near church gate to watch the newly released SRK starrer – Jab Tak Hain Jaan. Movie was so so but the excited reactions of the front row to hero and heroine entry were comic to say the least. Been ages since i heard so many cat calls and whistles! 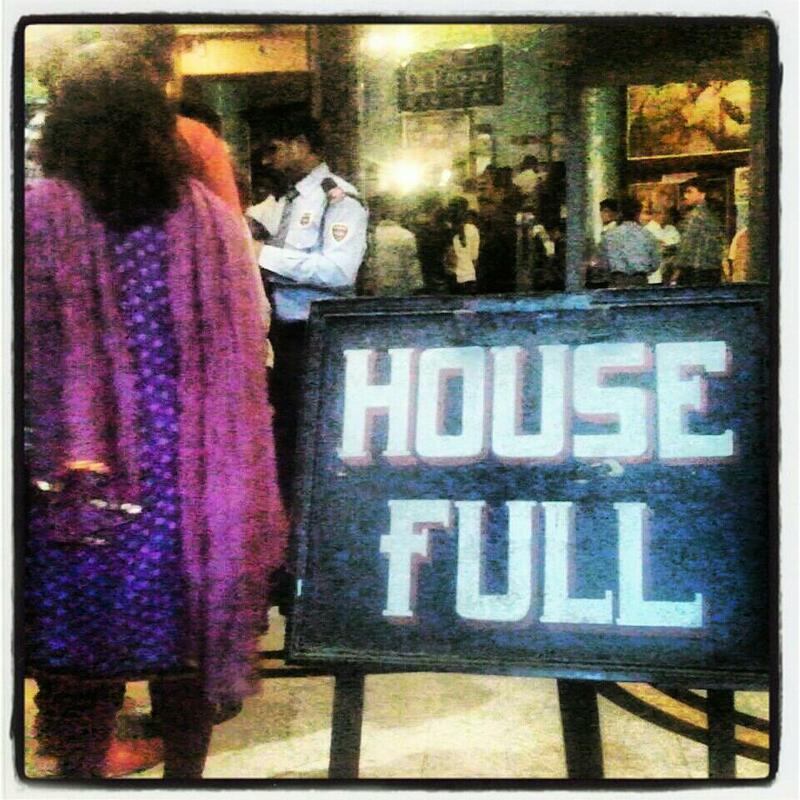 And the housefull board at the entrance was total killer!! And the day ended with a perfect dinner at indigo deli in colaba – housed in a bungalow behind Taj Gateway. I had last visited it in 2005 and had been bowled over by the Awesome food, service and ambience. Loved it all then and loved it even more tonight! 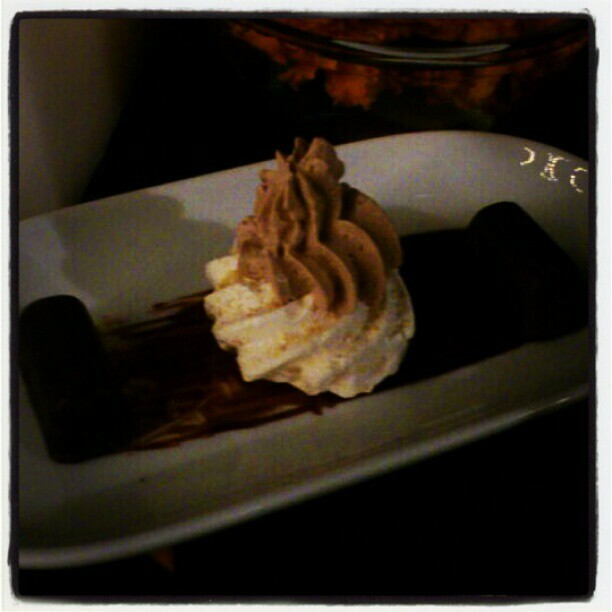 The chef sent a complimentary dessert as we couldnt make up our mind from the list presented. 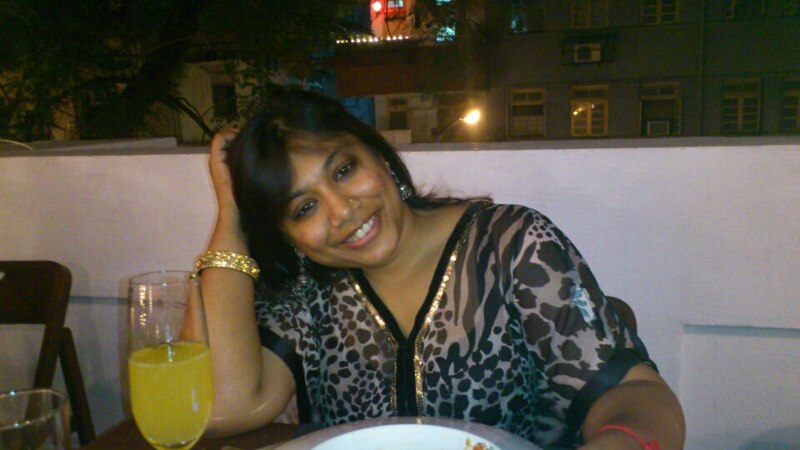 I wish I had more time to spend there on some more dinners and fun!!! Signing off for tonight. Tomorrow should bring in some more masti in mumbai!!! Reblogged this on Shalzmojo's Blog. Previous Post Travel diaries- Srinagar to Leh! Pull upstairs! !